As usual this week is zooming by. I don’t know if it’s not staring at an Outlook calendar all day anymore, but if I didn’t periodically glance at my phone to check the date I would swear it was still March. 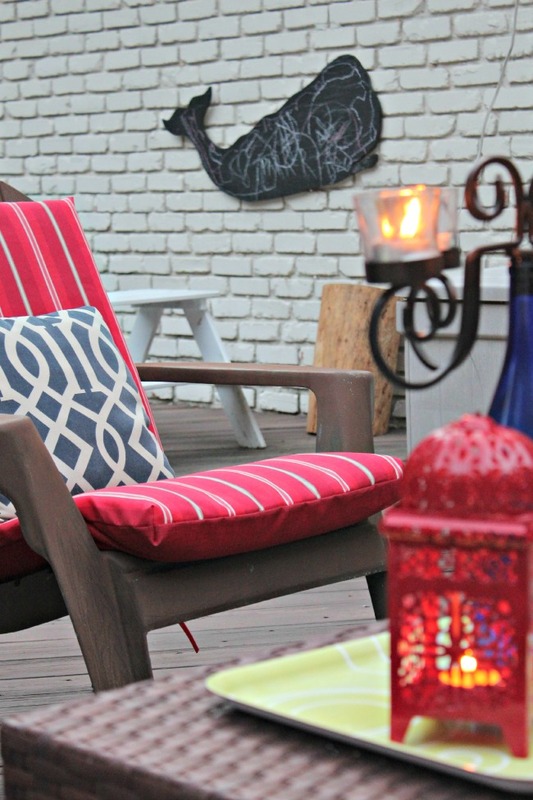 Last week I shared our back porch spruce up with you. I love this space for our in-home date nights, and hanging with the kiddos. Today I am showing you how I created a kid-zone. Really the kid zone only includes a chalkboard, a tree stump table and kid picnic table. But these few things gives the boy something to do and gives us a few minutes of peace and quiet! And then out of nowhere, inspiration struck. 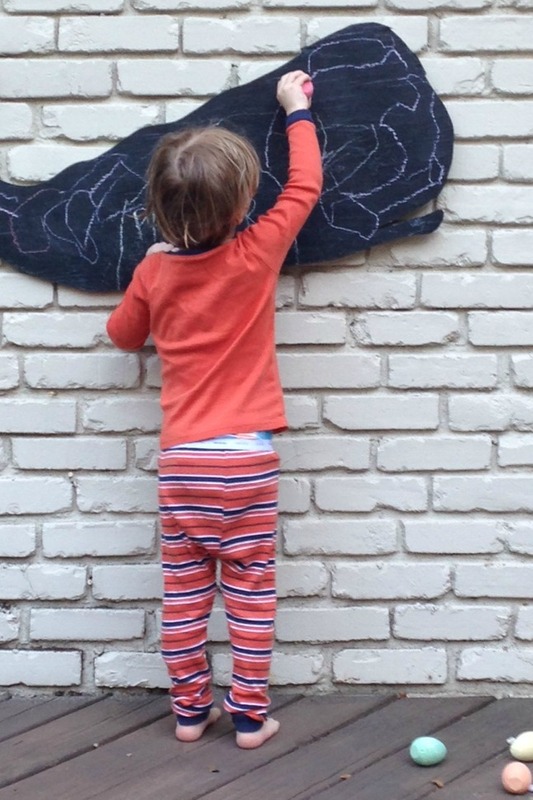 Outdoor chalkboard! 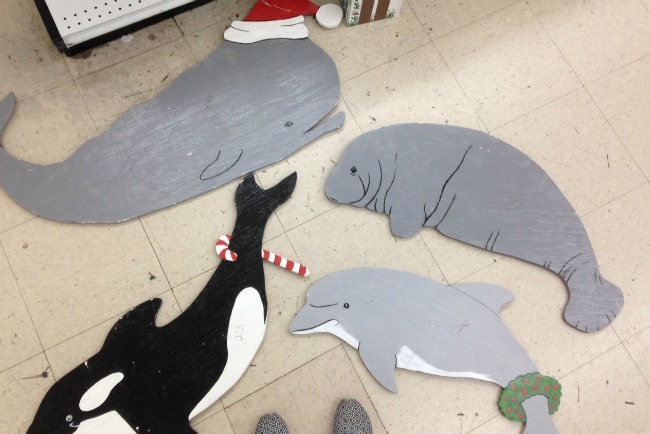 I just sawed off the random Santa hat (because nothing says Merry Christmas like a Santa Whale, am-I-right?) and gave it a coat of leftover chalkboard paint. Yay for 10 minutes of quiet while we are enjoying the great outdoors. 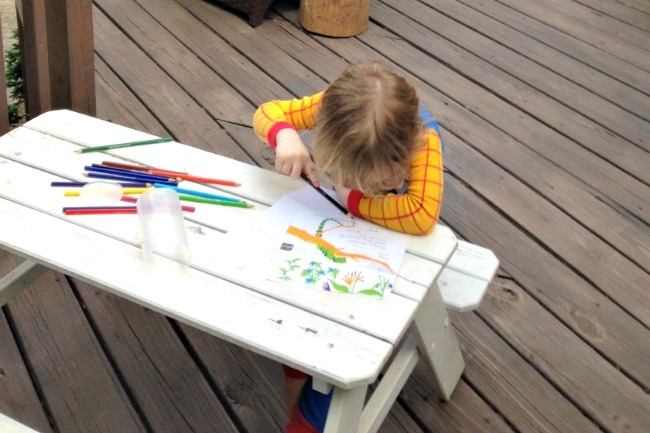 The picnic table is great for eating when his gang is over but we also do some arts and crafts out here. Lastly, I keep a box of kid items in this random kid tool box that I slide under the outdoor coffee table. 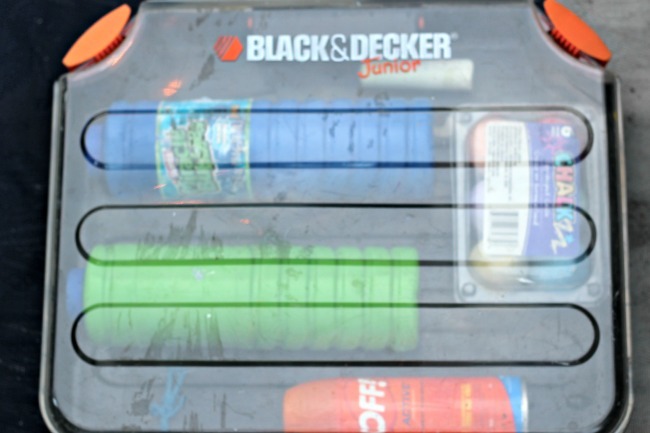 It stores chalk, bubbles and bug spray. This way I can grab these items while sipping my wine easily. How cute! I totally want the manatee! I'm guessing these wouldn't be too hard to diy but at $2, they would be impossible to not get too. Love your little space. 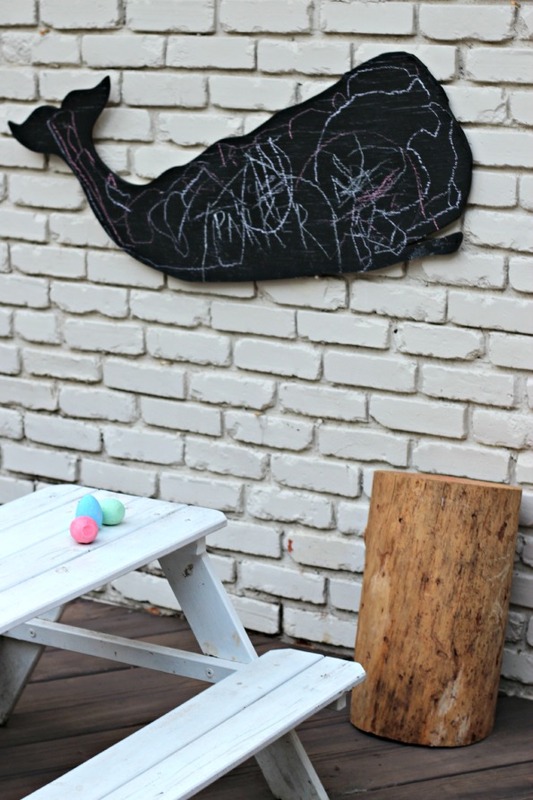 I'm redoing our back porch and want something for our littles and I may have to do something similar. Thanks for sharing! 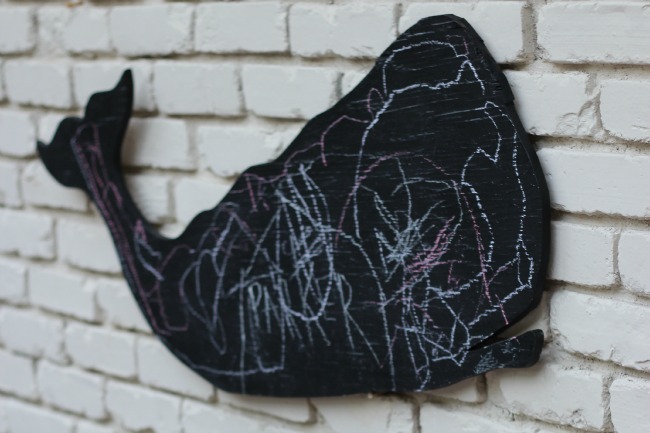 What a great way to repurpose those sea creatures!